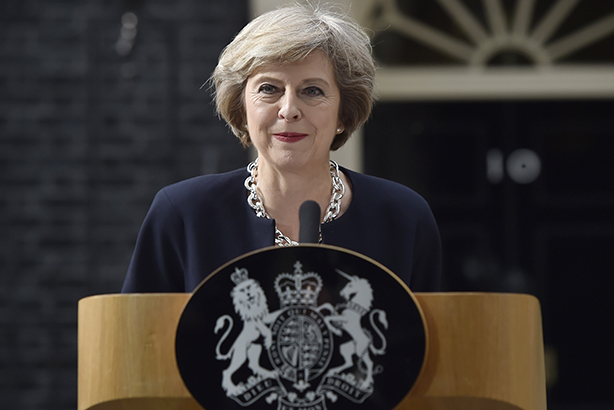 Prime Minister Theresa May's Downing Street comms and special adviser team began to take shape last night with several key appointments, including head of comms Katie Perrior and PRWeek UK Power Book entrant John Godfrey. Katie Perrior, co-director of iNHouse Communications who said last week that she was taking extended leave to work on May’s then leadership campaign, was announced as director of comms in Downing Street. Perrior ran Boris Johnson’s PR during his 2008 bid to become London Mayor, as well as his successful 2012 re-election campaign. Fiona Hill, a former special adviser to May in the Home Office who joined Lexington Communications as a director last autumn, is to be the Prime Minister’s joint chief of staff. Lexington founder Ian Kennedy confirmed to PRWeek that Hill, who had also taken time off to help May’s leadership bid, would not be returning to the agency. Before Lexington, Hill worked for a year at think-tank the Centre for Social Justice where she wrote a report on human trafficking. She is also a former reporter for Sky and The Scotsman. Hill was forced to resign as May’s special adviser in 2014 during a dispute with Michael Gove over who was to blame for briefing newspapers about a rise in extremism in schools. She is joined in her new role of joint chief of staff by another trusted May adviser; former chief of staff at the Home Office and director of the free school charity New Schools Network, Nick Timothy. Timothy is thought to have influenced May’s views on social mobility, which was in evidence on Wednesday during the May’s first speech as Prime Minister when she pledged to form a government that would serve working people. Other key appointments to May’s new Downing Street team include director of policy John Godfrey. Godfrey, a member of the PRWeek Power Book, was corporate affairs director at Legal and General, where he had worked for the past eight years. In his Power Book profile, Godfrey says PR’s greatest weakness is "the hasty, ill-considered response". Lizzie Loudon, a former aide to Ian Duncan Smith and comms manager at Vote Leave, is to be Downing Street’s press secretary while Liz Sanderson, a Mail on Sunday journalist, will be head of features at Number 10. Former Quiller Consultants lobbyist and May special adviser Stephen Parkinson – another Vote Leave campaigner who helped Gove with his leadership attempt – has also joined the senior team at Number 10. Ex-Sky News deputy political editor Joey Jones, who left the broadcaster to become a comms consultant late last year, is taking over a comms role in Number 10, it has been reported in several outlets. A source close to the appointments said May would initially be likely to have fewer people around her compared with previous incoming Prime Ministers who already had a large team of advisers in place while in opposition. David Cameron's press team - including political and comms director Craig Oliver, head of political press Giles Kenningham, press secretary Graeme Wilson and head of broadcasting Caroline Preston - departed Downing Street along with the former PM on Wednesday this week.